A novelty at Tucson 2018. Group of Miargyrite crystals with an extraordinary definition and length for the species. They are very bright and have fine growth striations. The sample has been analyzed and we’ll send a copy of its analysis to the buyer. 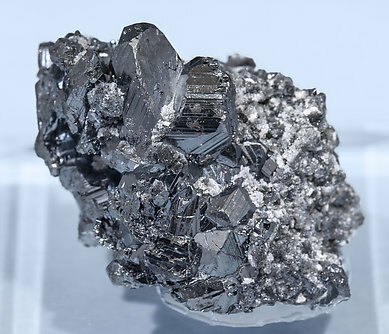 Single crystal, on a rocky matrix, of this rare silver sulphosalt. 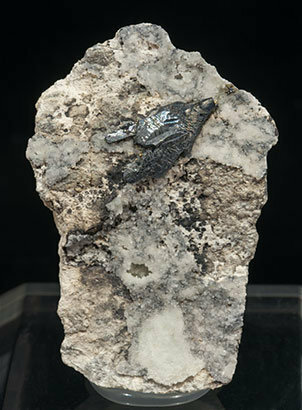 It has very well defined faces and edges and an unusually intense luster. 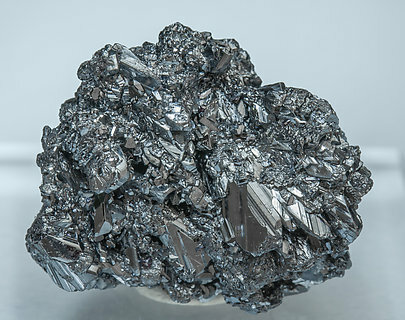 A group of Miargyrite crystals with a good size for the species, with unusually well defined faces and edges, fine growth striations and very bright. An extraordinary miniature that has been analyzed. We’ll send a copy of the analysis to the buyer. The sample has been referenced in the 'Mineral Up' magazine (2018/2, pages 36-37). A novelty at Tucson 2018. 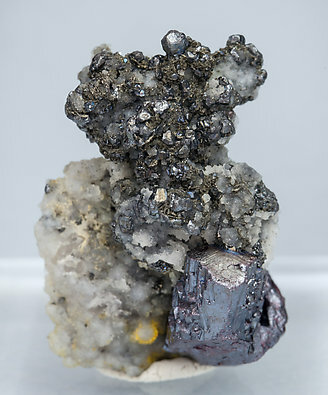 Translucent Pyrargyrite crystal with intense reddish reflections and on a Quartz matrix with Miargyrite crystals that have an extraordinary definition for the species. They are very bright. The sample has been analyzed and we’ll send a copy of its analysis to the buyer. A novelty at Tucson 2018. Aggregate of mixed Miargyrite and Pyrargyrite crystals. 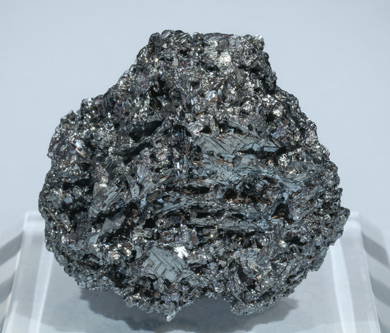 The Pyrargyrite crystals are short with flat terminations and the Miargyrite has smooth surfaces with fine striations and very bright crystal faces. The sample has been analyzed and we’ll send a copy of its analysis to the buyer. A novelty at Tucson 2018. 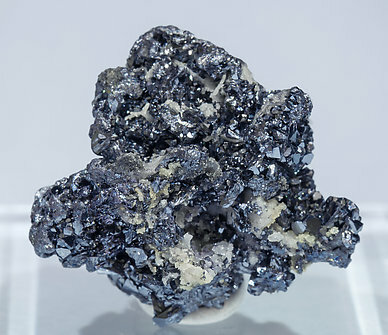 Group of Miargyrite crystals, on matrix, with an extraordinary definition for the species. They are very bright and have fine growth striations. The sample has been analyzed and we’ll send a copy of its analysis to the buyer.